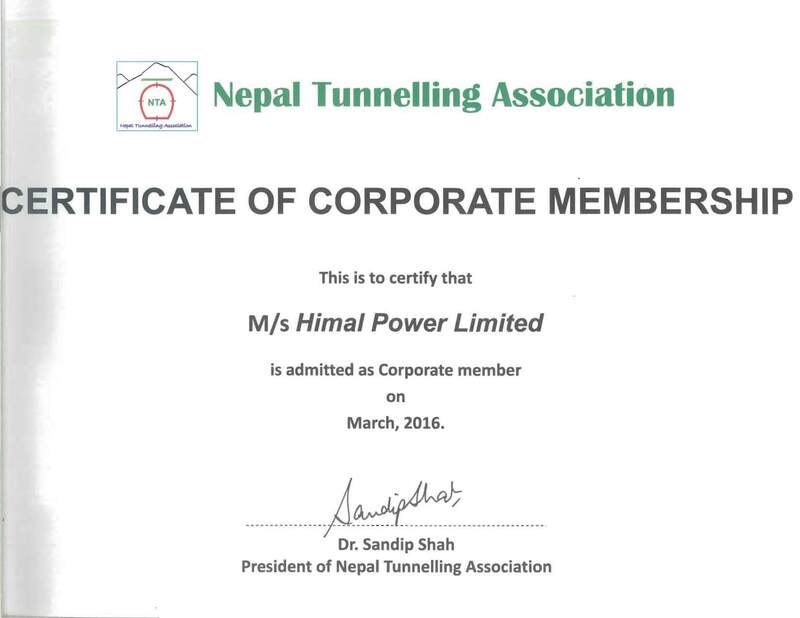 Nepal Tunneling Association (NTA) conferred Corporate Membership to Himal Power Limited amidst a function on the 4-5 the Annual General Meeting of NTA held on 3rd March 2017. NTA is a non-profit association of members both individual and corporate who are working and contributing in the field of tunneling and underground technology. The membership was conferred by the Chair of NTA, Dr. Sandip Shah to HPL representative Mr. Khadga B. Bisht. 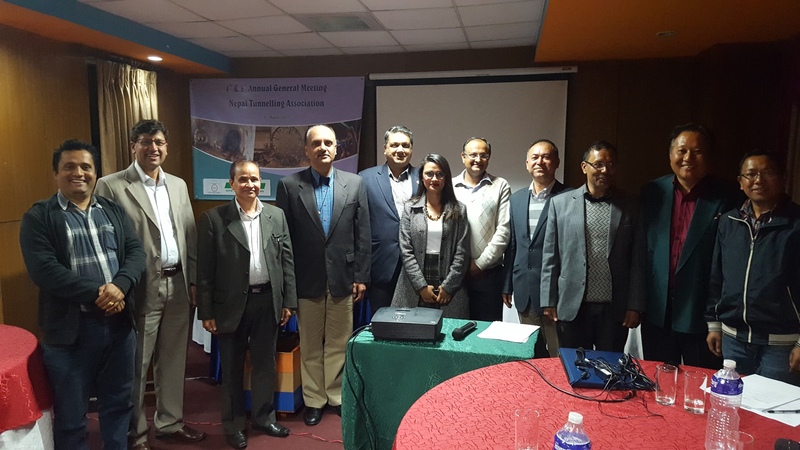 Two very thoughtful and informative presentations one in Tunneling Process Innovation (TuPin) and one in the Tunneling Status and Challenges in Nepal were held.